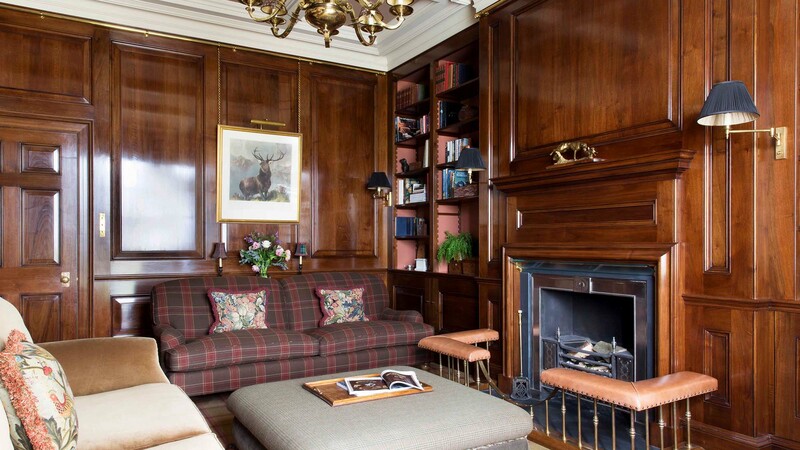 Artichoke has been designing kitchens for country houses in Somerset for over 20 years. We are based here, and most of our cabinet-makers and kitchen designers are Somerset born and bread. We do many projects in and around Bath, but more recently we’ve been asked to undertake larger country house projects, in particular around Wells, Shepton, Bruton and Frome. The surrounding villages, such as Batcombe, Ditcheat, Butleigh, Pennard and North and South Brewham are also particularly popular among Londoners moving to our fantastic county. We were particularly excited to have been recently involved in designing a kitchen, library and gun room for a large residential project in a medieval farmhouse in Bruton, and also a bespoke kitchen for a large Grade II listed Regency house in Dinder near Wells. Artichoke were commissioned by Ilse Crawford to make a striking bespoke kitchen for a Grade II Regency family house near Wells in Somerset. The kitchen formed two separate elements. The main preparation and cooking area (above) and a scullery to the side of the main room pictured. Because the kitchen was sited in such a Regency space, a highly contemporary and simplistic approach was taken with the design of the main kitchen area to offset it against the complex detail of the period interiors of the house. 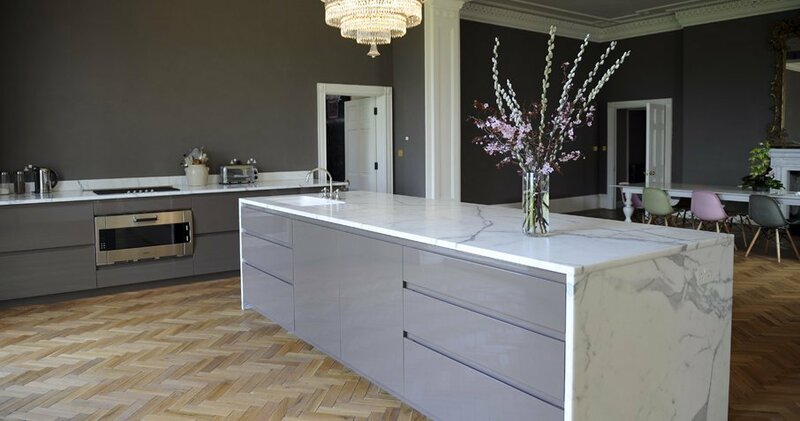 The walls of the kitchen are the same colour as the kitchen furniture, ensuring maximum exposure for the two bookmatched slabs of Statuary marble on the main central island. 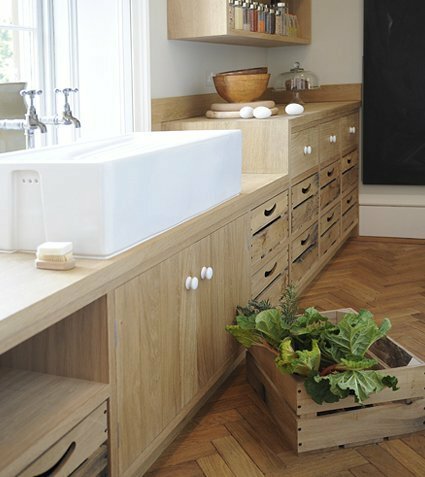 The kitchen scullery by contrast is made entirely of oak, which we finished with soap, a traditional period finish that does not discolour the timber. Somerset is a county rich in heritage; it is particularly rich in both medieval ecclesiastical architecture and Georgian buildings. Religious towns such as Glastonbury were key to the spread of the church throughout the southern parts of the county, hence the proliferation of medieval buildings. Many were built by monk farmers who supplied food for Glastonbury Abbey, once the largest Christian building in England. The Georgian architectural influence in Somerset stems from Bath, a city built almost entirely from Georgian architecture. It was also spread by the success of Bristol as a trading port, and many of the counties largest Georgian country houses were born out of the fortunes made by successful traders. If you wish to discuss your kitchen project with us, contact Artichoke on 01934 745270. Alternatively, view our portfolio of bespoke kitchens to see more examples of our work or email newprojects@artichoke-ltd.com to discuss your project in more detail.